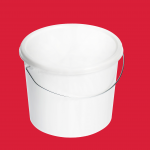 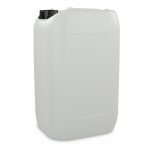 Large 25 litre HDPE plastic jerry can. 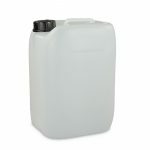 This heavy duty container is tough against impact and chemicals making it perfect for commercial and industrial purposes. The screw on pouring tap makes decanting liquids easy and safe where hazardous products may be involved. 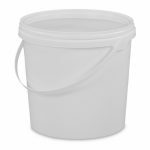 The container is stackable, food-grade and UN certified. 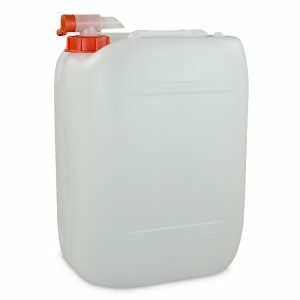 Useful for storing oils, lubricants, fuel and water.